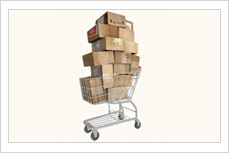 All orders are shipped via a reputable carrier on a 1- or 2-day delivery schedule. All orders are shipped in Styrofoam boxes with reusable gel packs to insure freshness. Packaging and handling charges are $8.00 per order in addition to a flat rate of $8.95/Lb. for all mail order shipments. All orders have a minimum shipping charge of $18.50. Orders are shipped each Monday, Tuesday, and Wednesday. Order received on Thursday and Friday are held until the following Monday. All orders shipped to a Houston address will be charged a flat rate of $18.50. The adjusted "Houston" fee will be made to your order at the time your products are shipped. Until then the web page will calculate shipping fees at the air fee. Just as product size varies, so do shipping charges. We will adjust pricing on shipping (both downward and upward) to reflect the actual costs we are charged. Overnight delivery is available upon request. Mount Royal USA guarantees complete satisfaction. Problems should be communicated within 24 hours of receiving a damaged delivery. Frequently in transit, slight thawing of meat occurs. It is still safe to use or freeze meat provided the package feels cold to the touch. If you are not 100% satisfied, we will refund your money or replace the product at our expense. Please allow for price fluctuation and variations in product size. All animals vary in size, making for different sized portions of meat. Any substitutions in your order will be discussed with you for approval prior to shipping. Game meats make unique gifts for friends, relatives, and business associates with discriminating taste. We have gift packages available for every holiday and can custom design for any occasion.